Lending Club allows you to divide your notes into "portfolios" or groups of notes and it shows you data about those portfolios. This post is about my Lending Club portfolios--what they are, why I invested that way and what my results are. I have money invested with two different Peer-to-Peer lending companies, Lending Club and Prosper. My Lending Club returns were discussed in an earlier post, which also described the concept of Peer-to-Peer Lending. Now I am reviewing my Prosper account. Am I Making Money With Lending Club? I have been investing via Lending Club since July, 2014, or for almost three years. If you check out my other Lending Club posts, one thing you will notice is that my returns have steadily decreased. 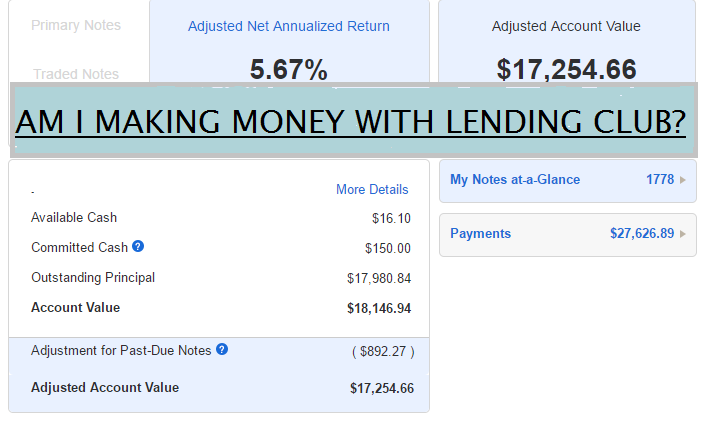 It is time to take another look at whether I am making money with Lending Club. Lending Club is a "peer-to-peer" or marketplace lender. People who want to borrow money apply with Lending Club, which then reviews the application and, if it approves the loan, assigns an interest rate. Then, instead of giving borrowers its own money, Lending Club makes the loan available either to institutional investors or to individual investors via its website. Investors can invest in as little as $25 per loan, and Lending Club advises retail investors (us normal folks) to diversify--to invest in a lot of loans for a little money rather than a few for a lot. As borrowers repay loans, investors have their principal returned, along with interest. It is expected that some borrowers will not repay the loans in full and the chance of that happening is supposed to be reflected in the interest rates charged. What Return is Expected With Lending Club? When deciding to invest, most people want to know what the expected return is, on average. We've all heard about how if we had only invested a few dollars in facebook or Amazon all those years ago, we'd be rich now. However, over the long run, history has shown that on average stocks return about 7-8% per year. 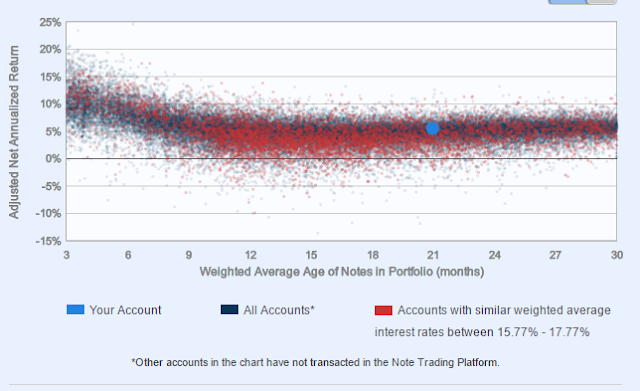 This chart provided by Lending Club shows that my adjusted return, which takes into account a hypothetical write-down for past-due notes, is about 5% and that for accounts the age and size of mine that invest in notes with the interest rates I've chosen, I'm doing about as well as can be expected. Peter Renton is considered to be a Peer Lending expert and his experience is similar to mine. These charts from the Lending Club website show that, as things stand now, getting more than 7% or less than 3% is difficult if you have over about 300 notes, and that most people should expect returns of about 5%. When I posted on his subject two years ago, the norm from which it was hard to stray was 8%. Clearly something has changed. How Am I Doing With Lending Club? According to the charts shown above, if you take anticipated defaults into consideration, my net annualized return is 5.67%, which doesn't sound too bad. However, the figure is somewhat misleading. First of all, the figure reflects the life of the account, not current conditions. If the average interest rate of my notes is 20% and the first month all the borrowers pay, then my net annualized return is 20%. As borrowers stop paying the net annualized return falls but it takes some time for it to stabilize even assuming that both the interest rates and the default rates remain constant, which they do not. Put simply, the return for this month is likely to be much lower than the return for month one, but the NAR averages them, and all the other months during which the account has been open. Another problem with the NAR is that it does not account for "cash drag", for money that has not been invested in a note yet or which has been invested in notes that are still being processed. If you look at the chart above, you'll see that I have $166 that is not currently earning interest and because of the way Lending Club is constantly returning both principal and interest, that figure is pretty close to what it is most days. To Lending Club's credit, they have decreased processing time so that figure is lower than it was a year ago. A method of computing returns that takes into account "cash drag" is XIRR and a calculator is here. Using this calculator, my returns are 5.54% since the inception of the account. A year ago that figure was 6.75%. While this gives me a good picture of the account over its lifespan, it doesn't tell me how things are going right now. On December 31, the adjusted value of my Lending Club account was $19,804.36. Since that time I've withdrawn $2712.66 because we needed the money. My adjusted value is now $17273.72, giving me returns of $182.02 so far this year. If you annualize that, you get about 2.55% per year. While I'm not losing money, I'm clearly not getting rich. Who knows? Lending Club has increased rates several times in the last year so hopefully that will help overall returns. On the other hand, if we enter a recession and unemployment increases, defaults likely will too. What Are My Plans for My Lending Club Account? Right now, my plan is to hold the course. If we need to withdraw money from an investment account for current needs, getting over $1000 per month for a few months is easy and penalty-free. If my current returns do not increase in another year or so, I will probably move this money into the stock market. 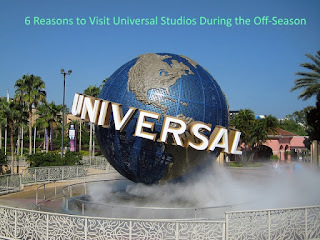 As we Americans are enjoying our Memorial Day weekend and celebrating the unoffical start to summer, my family is returning from our summer vacation to Universal Studios and Islands of Adventure. Since my daughter graduated from seventh grade and will be heading to high school next year, she got out a week earlier than the other kids in school so we decided to take our vacation this week, while off-season prices were still in effect. 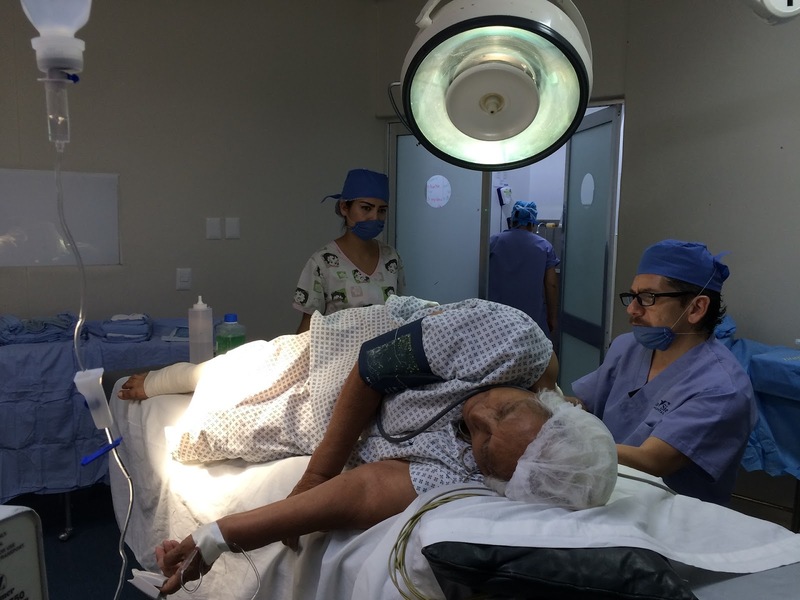 It was a great choice for us, and I recommend it to anyone who can manage to do it. I live in the New Orleans area. I know hot and humid, and frankly, I like my summers that way. However, when we went to Disney World two years ago in August it was HOT and miserable. This past week the temperatures have been in the mid 80's with moderate humidity. Also, it only rained one day, as opposed to the every afternoon rain that is normal in mid to late summer. Because this week was still considered to be the off-season, we were able to score a three bedroom, two bath condominium about 5 miles down Universal Boulevard from Universal Studios for a total price of $844.38, with all taxes and fees included for five nights, which comes to $168.88 per night. I just tried to book a room for a month from now (I booked our room about a month before we used it) and the cost is almost $100 per night more than what we paid. Our tickets were $199.99 each and gave us access to one park per day (either Universal Studios or Islands of Adventure) for four days. Right now, the best deal on Universal's website is $219.99 for three day tickets. Since we needed five tickets that meant $100 more in our pocket, and an extra day in the parks. When we went to Walt Disney World two years ago in August, the crowds were terrible. After about 10 a.m. you could barely move and there were long lines for everything. That was true Thursday this week as well, but Monday, Tuesday and Wednesday had reasonable crowds and we were able to do what we wanted to do without any long waits in line. We paid 3 cents less per gallon last week that we paid at the same station today. They always say the price of gas goes up during the summer. My recent college graduate has an internship lined up for this summer. Because we went during what is considered to be "the school year", the job hasn't started yet. We wanted her to be able to go with us but figured that if she got a job they weren't going to let her off for a vacation this summer. If you have kids who want summer jobs or adult children who will be starting new jobs, a pre-season vacation may allow them to join you. While many of us may have reasons for taking vacations when "everyone" is doing so, if you can schedule yours during the off-season you can save a lot of money. Of course the primary reason I'm pulling my money out of Kickfurther is because I'm not making money, and in fact, am losing it. If that wasn't true, if I was making money, some of the things I'll discuss in this post would still concern me, but not as much. However, I think that a large part of the reason I've lost money on Kickfurther has been the incompetence of Kickfurther rather than the risk I knew I was assuming when I invested. Kickfurther is a platform that was developed to allow ordinary investors (as opposed to accredited investors a/k/a rich people) to help businesses that needed cash to purchase tangible inventory. The business model was that a business that wanted money to purchase inventory could offer that inventory on Kickfurther and investors could purchase part of that inventory, which was then returned to the company so that the company could sell it on a consignment basis. As the inventory sold, investors would be repaid with a pre-determined profit. Kickfuther specifically denies that these contracts were loans, but businesses would refer to them as loans. While repayment was supposed to be based on sales, often it was not; rather businesses repaid in a linear fashion, unless the inventory was not selling, in which case they would pay less, or not at all. Kickfurther recently changed its business model to, at least for the present time, only "purchasing inventory" for companies that have a purchase order for that inventory. They require assignment of the purchase order and file a UCC financing statement covering that inventory. Kickfuther claimed it vetted companies using a proprietary formula. While Kickfurther did not disclose that formula, it was obviously inadequate as several companies that were outright frauds were allowed to raise funds. Also, after they began only financing purchase orders they were defrauded again by thieves using the names of legitimate companies. The thieves got the money, not the companies and the investors were left holding the bag. The bottom line is that Kickfurther has had no way to determine if merchandise was selling, and, if it sold, no way to assure that companies used that money to repay investors. They did not even file a UCC financing statement until recently (a UCC -1 is a standard form used to record a security interest in financed property). The founder said that he envisioned the company as part of the "trust economy" which to me means he isn't ready to play with the big boys. Any form of lending (and I know Kickfurther denies these are loans, but the companies receiving the money refer to them as loans and especially now that they are only financing purchase orders, the arrangements even more resemble loans) has to take into account an expected default rate and the amount of money lost on a typical default. I invested in 17 offers that did not pay back as promised and from which I do not expect to receive any more money. The total I invested was $834.50 and I have only been paid $286.65, I have 85 offers that have finished and paid out. My $5281 investment returned $5769.08. Clearly if I had been smart enough to avoid the bad offers I would have made money, but my experience is pretty typical. It takes a lot of good offers to make up for the bad. I would have needed about twice the returns I earned to break even. Another problem is that recently there have been two types of offers. One type is for several months and the pack price is substantial. The interest rate on them seems reasonable--over 10% for less than a year. However, an investor must be willing to risk over $1,000 to participate in these offers and the company has no record with Kickfurther. The other type of offer allows investments under $100 but the offers are short and the offered profit limited. While it is true that investing money for two months and earning 4% is like investing it for a year and earning 24%, it is also true that each offer brings with it the chance of default--the possibility of losing all our money. While earnings of 24% may make it worth taking the chance, earnings of 4% do not. Kickfurther is the quintessential middle man. Their only job is facilitating transactions between those with money (investors) and those who need it (businesses). Despite that, there have been numerous complaints from merchants about their inability to link with Kickfurther's bank account. People are reduced to sending checks through the mail, which causes a delay in having those funds distributed to investors. They were recently scammed into giving investor's money to three companies whose deals turned out to be fraudulent--it wasn't the company raising the money, it was criminals. Kickfurther makes money by charging merchants a 3% fee on money they obtain from Kickfurther. They also charge investors 1.5% to withdraw money (that's 1.5% of both principal and interest). Kickfurther is running on venture capital but that will run out sooner or later and right know, having been in existence for over two years, Kickfurther isn't making enough to pay the people running it. How long will the venture capital last? I still think the idea is good, but the execution clearly is not. I am withdrawing money weekly but I expect to lose money when it is all said and done. I do not recommend that anyone invest with them but if you have to try it for yourself you can use my link and I may win a prize. Any business has to make money to remain in business. That's a fact. It is also a fact that small investors pay a larger percent of their investment dollars in fees than do larger investors. Those two facts came into focus for me recently. Loyal3 is a commission-free brokerage firm. They not only allowed investors to buy and shares of stock without paying commissions, they also allowed the purchase fractional shares, so that investors can invest a small amount of money at a time, as little as $10. Last month Loyal3 investors were told that as of May 22, accounts would be transferred to FolioFirst, a low-cost brokerage firm that gives commission-free trades and allows the trading of fractional shares. FolioFirst offers 200 different stocks. However, it charges a fee of $5.00 per month. Right now, my Loyal3 account is about $1500 so $60 per year means a cost of 4% per year, which is much higher than the average mutual fund or ETF. I will not be moving to FolioFirst, and given the small size of my account, I didn't want to go to the hassle of moving the shares elsewhere, so I sold them. Motif Investing allows investors to purchase or sell a basket of stocks for one fee of $9.95. Until recently, that was the only fee charged by Motif. However, starting May 15, Motif accounts under $10,000 that have had no commission trades in the last six months will incur at semi-annual charge of $10. My Motif account is about $8200, so that cost is about .24%, which is in line with many mutual funds. I have decided to move my Loyal3 money to Motif, which will cover my fee for this six month time period. I'll probably add enough to bring the account over $10,000 to get it back to fee-free status. 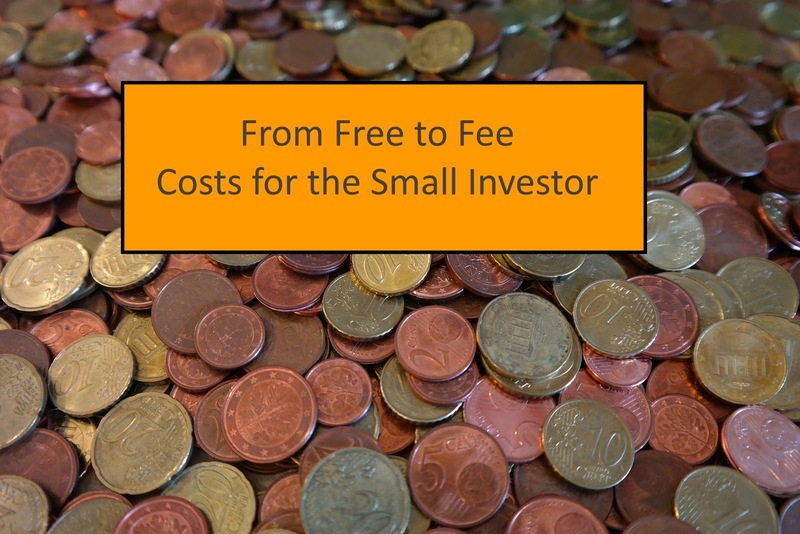 While investing fees have definitely dropped over the last few years, the question is how low can they go and maintain a viable business. What's your favorite low-fee or free investment platform? If you are a parent, I'll bet your child's friend "Not Me!" has been over to play many times. "Not Me! gets the blame for lots of things at my house, and my friends mention that he or she visits their house regularly too. Well, "Not Me!" is moving up in the world. "Not Me!" has a job now--paying for healthcare. I learned this watching the news and following social media as the Republicans passed a healthcare bill through the House of Representatives. Who should pay for my health insurance? "Not Me! ", I get mine at work. Who should pay for my employee's health insurance? "Not Me! "; they are low-wage help, health insurance costs more than their paychecks. Who should pay for the health insurance of those who work for my small business? "Not Me! "; I'm barely making ends meet now. Who should pay for my family's health care? "Not Me! "; I don't have enough money, my car payments are killing me. Who should pay for healthcare for the poor? "Not Me!". Don't raise my taxes, and besides, if they would just get a good job they wouldn't be poor anymore. Who should pay for healthcare for the old or chronically ill? "Not Me!" I'm young and healthy and you want to take all that money from me every month to pay someone else's healthcare bills? How is that fair, especially if that person earns more than I do? Who should pay for healthcare for those with serious expensive illnesses? "Not Me! ", that would bankrupt my family if it happened to us. Who should pay if I need to spend the rest of my life in a nursing home? "Not Me!" Why should I have to spend my kids' inheritance? Who should pay for my family's routine healthcare bills like check-ups, sore throats or birth control? "Not Me!" --after all the money I spend on health insurance it should pay for my healthcare--and besides I have better ways of spending that money. Yup, "Not Me!" has a job for life. I wonder if this job comes with good health insurance? One issue I have with both the ACA and its purported replacement is that both rely heavily on "Not Me!" and neither addresses the real problem--the cost of healthcare. We have a dragon eating us alive and we are arguing about whose turn it is to feed the dragon ("Not Me!" of course) rather than talking about how to get costs down. The reality is that to get costs down,we are going to have to give up something--at least some people will. Countries with lower healthcare bills than we have provide less care than we do. They use waiting lists and price controls to limit access to expensive tests and treatments. Of course the answer to "Who wants their treatment limited in return for lower costs?" is "Not Me!". I don't pretend to have all the answers about healthcare, but as a mom I know that "Not Me!" isn't really the answer.